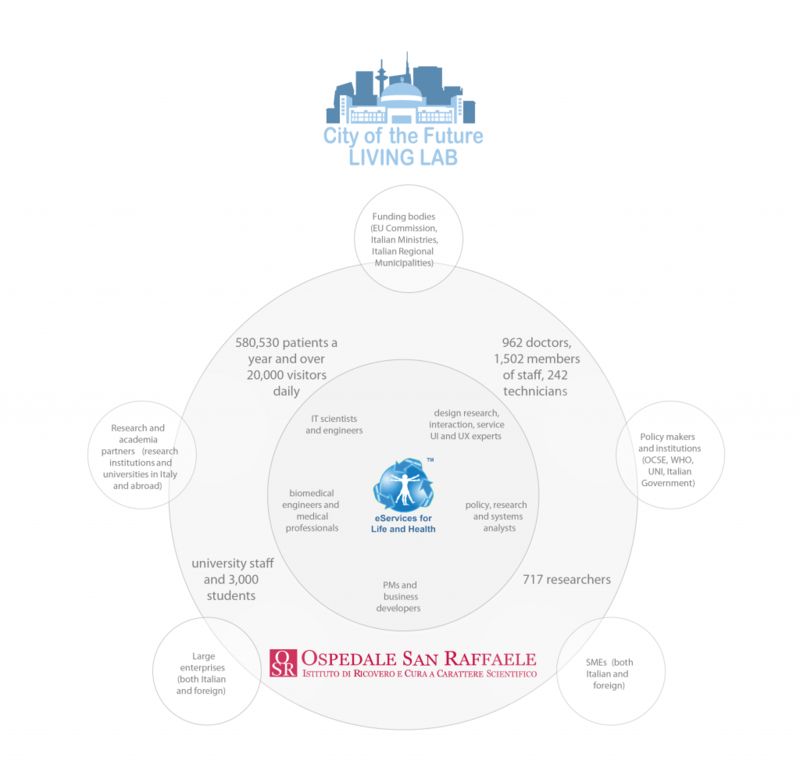 City of the Future Living Lab believes that it is essential for the end user to participate to the creative phases of technological innovation in order to deploy services that can contribute tangibly to promote healthier and more eco-sustainable individual and collective lifestyles. This process is called Co-Creation. This collaborative approach to technology and service innovation goes hand in hand with what is called User-driven Open Innovation, or the process of innovation that is channeled directly from the user experience and that is open to the exchange of interdisciplinary knowledge between scientific communities, SMEs, large companies and institutions. generating ideas regarding products, interfaces or services. into the former, in a cyclical concept refinement process. emotional, functional, mechanical, material, usable and engineering point of view.